… the UC technology is soooo delightful. OK, it’s cheesy as you can get, but very true. 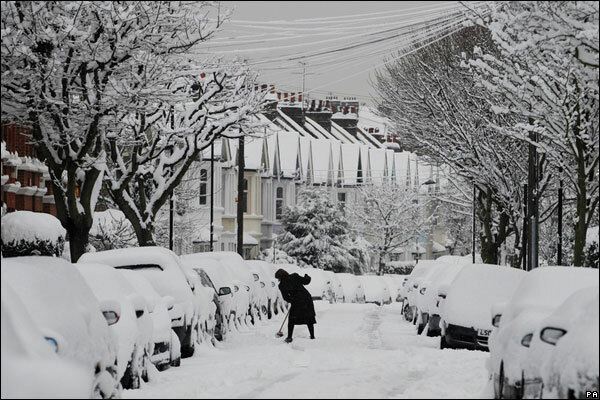 The weather forecast on Sunday night was for heavy snow, and sure enough we awoke on Monday to about 4-6 inches of fresh snow – something that many countries would take in their stride, but in southern England, we just don’t have the infrastructure to cope. [since it’s such a rare event]. I had decided on Sunday night that I was probably going to stay at home, so changed all the face/face meetings I had scheduled for Monday, to phone/video calls. SNOW CHANGE: Team meeting to be changed LIVE MEETING ONLY! DO NOT DRIVE! I have been clearly informed that South England does not own snowploughs. And as I look out the window at the 5 inches of snow with no snow tires on my car, as a Canadian who has driven in very big snow storms, I know when not to drive – and this is one of those times. It will be too risky. So, we will probably trim the meeting to the MYR presentation and maybe 2 other topic. More to come – but don’t drive! Looking forward to our meeting – ‘see’ you all there :-). I also had a half-day partner meeting which had been scheduled for weeks; that was converted to a Live Meeting so everyone could join remotely. In this instance, the actual partners were stuck on motorways, or holed up at the airport, so in the end it was rearranged for another day. It was amazing to see how, if the infrastructure is in place to allow it, some companies just flick to having (nearly) everyone work remotely and it not drastically affect productivity. OCS Product Manager Sean Olson wrote about the “Snow Day” phenomenon that happens to Redmond every so often. In fact, in the mid-December incident hit the news over here, with a bus skidding through a barrier and hanging over the I-5 freeway. Here’s an article with a great VR picture of the scene. As it happens, we released OCS 2007 R2 yesterday. Also, there’s a report which should be published soon, looking into the business impact of deploying UC at Microsoft, using Forrester Research’s methodology for measuring business value. The outcome? The RoI for Unified Comms is so clear that it paid for its procurement & deployment in 2 months.